Are you interested in learning the piano, meeting people and making new friends? At the London Piano Institute you can do just that. For enjoyable adult group piano lessons hosted by highly experienced instructors, look no further. Situated in the heart of the City and Mayfair, the centre is redefining how the piano is taught. Whether you want to learn from scratch, or simply want to smarten up your act, you’d be hard-pressed to find a more suitable location to study. London Piano Institute with it’s two fantastic locations is the perfect setting to learn the enjoyable art of piano playing. Learning with others has many benefits, and although you can register for solo lessons, group sessions are highly popular and perhaps the most rewarding. With a group lesson, you gain instant feedback from the instructor, plus that all important motivation from your peers. This allows you to learn in a supportive, non-judgemental environment and meet new people along the way. If in the past you have taken solo piano lessons, you will be pleasantly surprised how fun and engaging group piano lessons can be. Your enthusiasm for learning new techniques combined with the encouragement from fellow students can result in swift progress, even surpassing your own expectations! Recommended if you enjoy meeting new people or prefer to learn with friends, the London-based centre will sharpen your technique and teach you the correct methods, eliminating any bad habits you may have picked up, either from solo study or from a previous tutor. Starting with the correct technique is highly important, and good habits let you progress at a much faster rate, especially if you dedicate time to private practice and have the will and determination to succeed. The London Piano Institute offers a number of piano programmes to suit your lifestyle. You can select from either one-to-one lessons or group lessons. 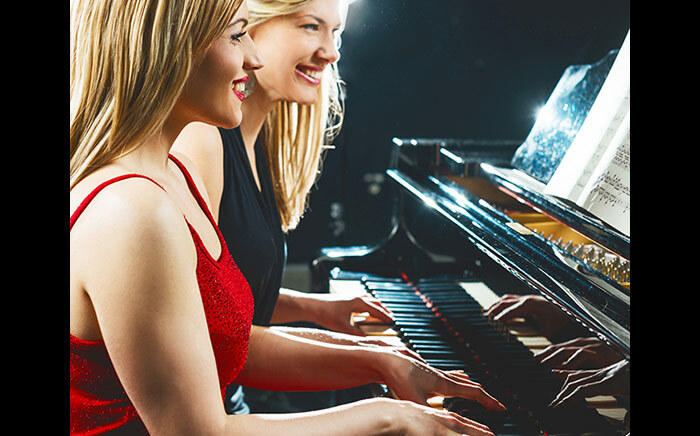 Whatever your choice, you’ll receive first class tuition from a qualified piano instructor, plus the support to keep you motivated – a significant factor for continued development. The centre caters for a wide range of music styles and tastes, from jazz piano lessons, to rock, pop, classical, and even concert performances. 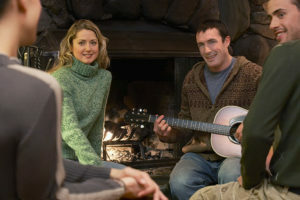 In fact, group sessions provide the perfect setting for student concert events. This gives you the opportunity to try your hand at public performance, or to simply sit back and enjoy some top-notch piano music. Piano seminars are also available and allow you to learn new skills and techniques, such as the art of improvisation, or the intricacies of jazz piano playing. Learning a new skill together is fun and rewarding. Make it happen! Learning to play the piano in a group is both fun and very educational! The perfect opportunity for you to excel at learning how to play the piano! A once-off registration fee of £95 is payable upon signing up with the London Piano Institute. You will receive 4 outstanding piano lessons of 60 minutes in a group setting every month. The group will be of a small size – usually 4 to 6 other like-minded piano enthusiasts! Learn the CORRECT techniques from day one! Learn with an OUTSTANDING piano teacher who has ample experience in teaching group piano lessons. Top-notch adult piano education designed to help you learn properly and lay a solid foundation. Our group piano classes take place in the heart of the City of London at 49-51 Shoe Lane, City of London EC4A 3BL. Please note that visits to our City location must be arranged by appointment only. Learning to play piano in a group format is an absolutely fantastic way to get started with playing the piano! At the London Piano Institute we always teach using the best methodologies and we always make sure that you learn the correct techniques from the first lesson in a very comfortable and friendly atmosphere. Really learn how to play the piano properly in our evening group piano classes that are specifically designed for adult learning. Make rapid progress and meet new like-minded friends of the piano at London’s dedicated piano Academy for adults! 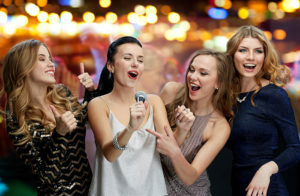 Are you also interested in group singing lessons? Did you know that we also offer group singing lessons for adults at The London Singing Institute! » View full details of our group singing lessons at the London Singing Institute now! Are you also interested in group guitar lessons? Did you know that we also offer group guitar lessons at The London Guitar Institute! » View full details of our group guitar lessons at the London Guitar Institute now!